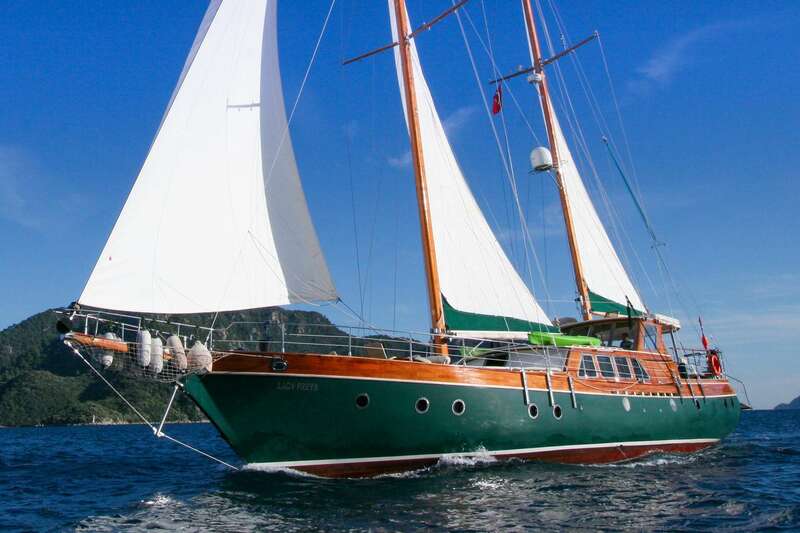 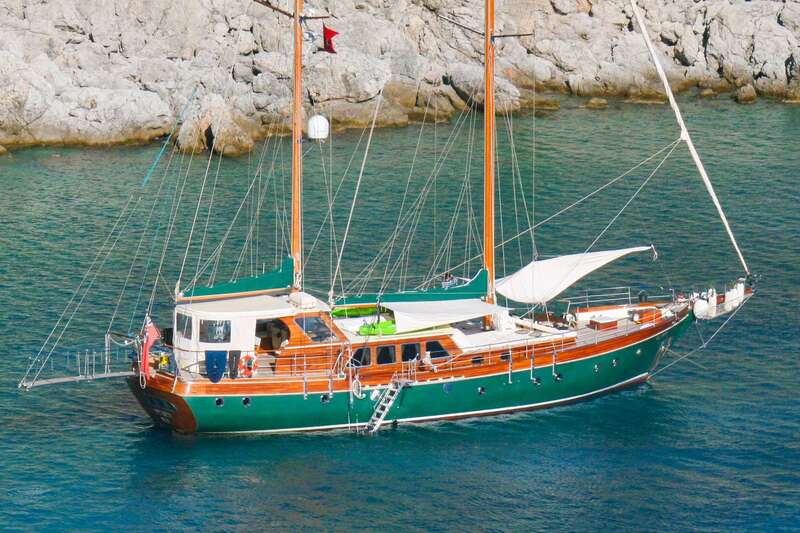 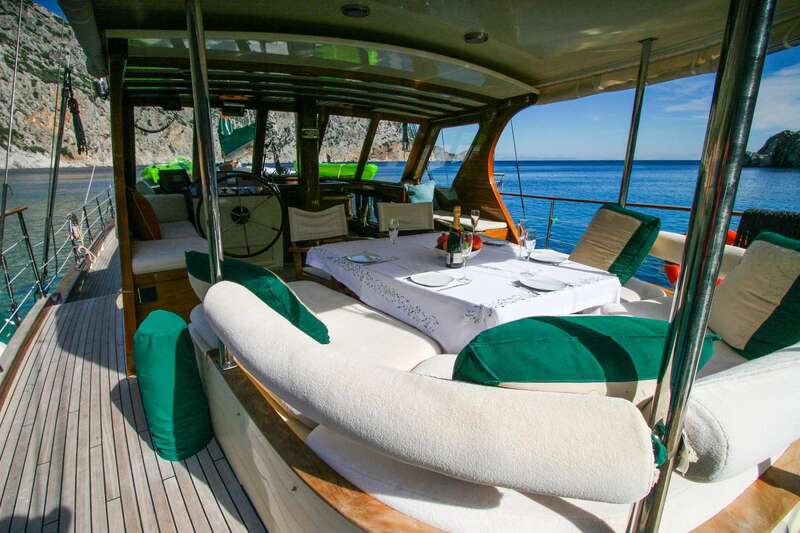 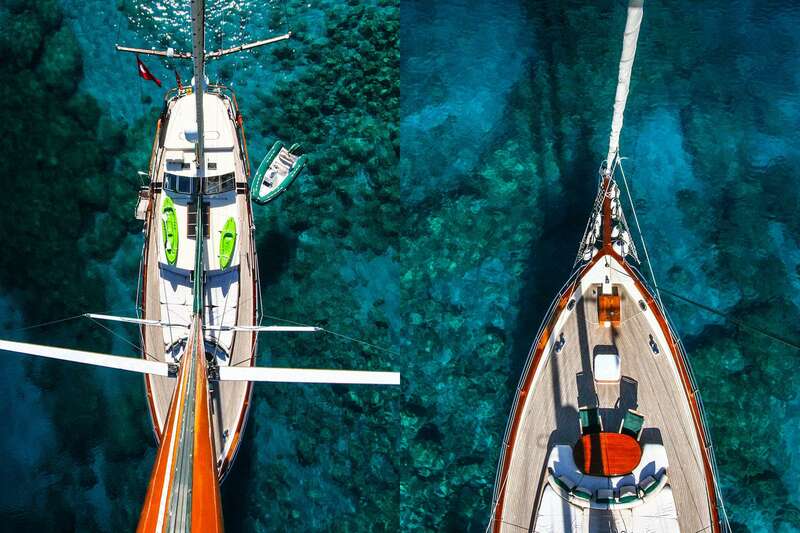 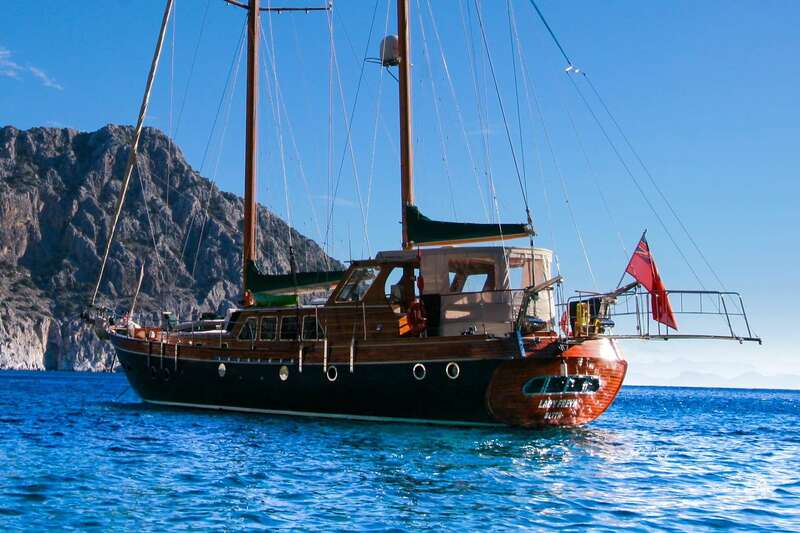 LADY FREYA is an elegant wooden gullet with excellent charter record, suitable for eight sun seeking guests in 24-hour air-conditioned 2 master and 2 double cabins. 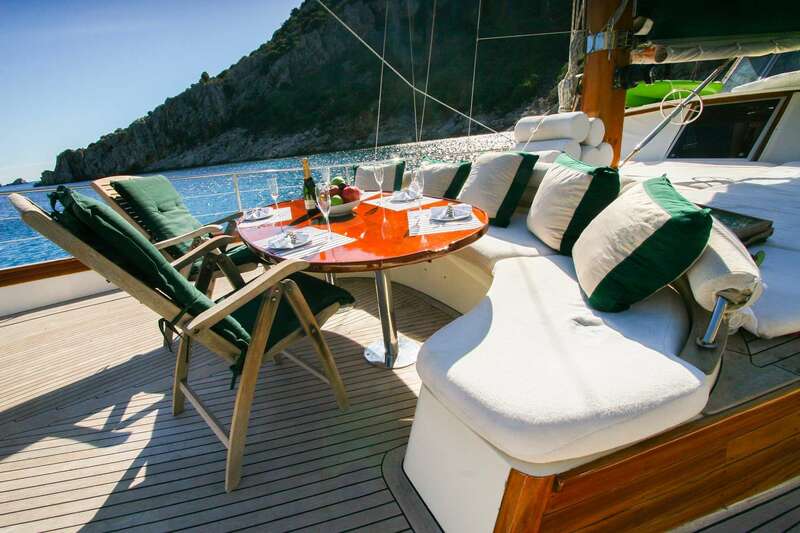 She measures 22,76 m, was built at Orion Shipyards (Turkey) in 2008 and refitted in 2017 and offers very comfortable indoor and outdoor dining areas. 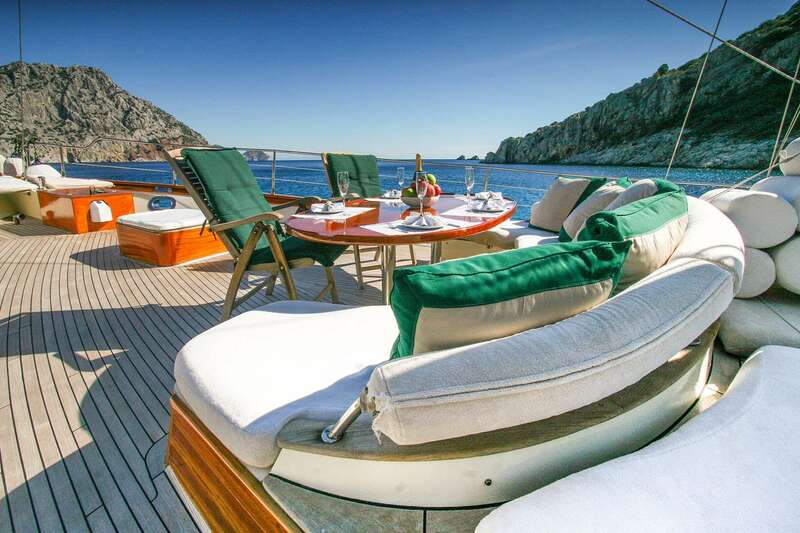 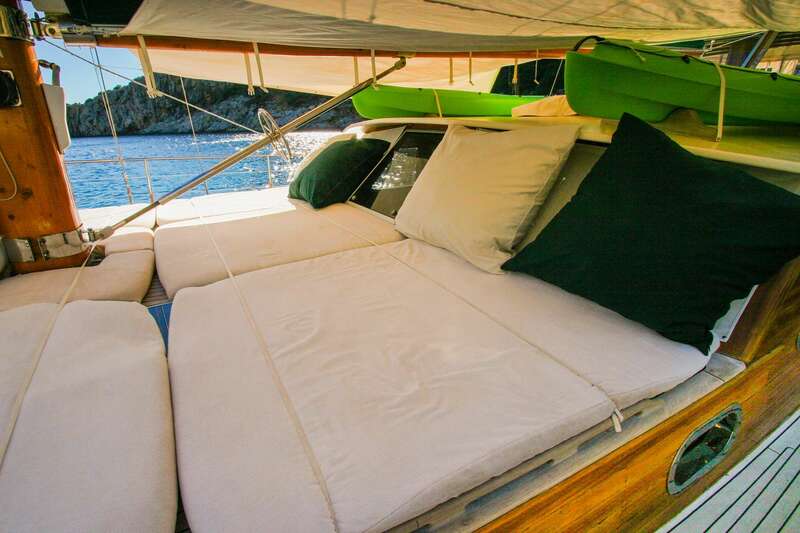 The yacht provides a large sun tanning area & lounge on the front deck, outdoor TV on the aft deck and a crew of three including captain, chef and deckhand.